Ping's G410 metalwoods are highlighted by new moveable-weight technology, a redesigned crown and more. Ping has been cautious to accept some of the common technologies we've come to expect from many of today's drivers — from adjustable hosels to moveable-weight technology. But there's a reason for the slower-than-normal pace: For every tweak Ping considers during the creation process, there was a possible negative tradeoff that needs to be considered before the technology is implemented. "The mandate we've always had is you can do all sorts of adjustability and fitting options, as long as we're not taking a step back on some of the fundamentals," said Dr. Paul Wood, Ping's VP of engineering. "When we can get to a point where we're not sacrificing Moment of Inertia or CG location, then we can do it. Nothing is for free. Everyone wants all of the sliding weights and adjustability, but it comes at a tradeoff. Do you want to sacrifice stability for more yardage?" For the first time in company history, Ping was able to create a driver featuring moveable-weight technology with the stability and forgiveness benefits that have become a staple of the high-MOI G400 Series. Of course, there's more to Ping's latest metalwoods line than moveable-weight technology. Here's an up-close look at the drivers, fairway woods, hybrids and irons that comprise the 2019 G410 lineup. Up until this season, Ping's Tour reps altered driver shot shape, sound, feel and swing weight with the help of hot melt. The adhesive material was melted at over 200 degrees and then added to the internal structure to produce a custom-fit driver. According to Ping, more than two out of three Tour players on their staff utilize some form of hot melt in their clubs. It's a percentage that highlights the importance of getting certain characteristics just right to achieve a perfectly dialed-in driver. For the recreational golfer, Ping created different models (standard, LST, SFT, Max) to achieve similar results. Of the four models in the G400 lineup, Wood admitted the "standard" G400 head seemed to get lost in the shuffle, partly because it didn't have a superlative (low spin, largest head size, draw bias). "It was sort of the vanilla model, even though we knew that wasn't the case," Wood said. "So we decided to name it G410 Plus to differentiate it from the others in the line." The slightly larger G410 Plus head size — 455cc versus 445cc for G400 — enabled Ping engineers to increase MOI while adding adjustability at the same time. The new weight track running along the perimeter of the Ti 8-1-1 body features a 16-gram tungsten blend back-weight — the weight is 16 Specific Gravity; pure tungsten is 18 Specific Gravity — that can be positioned in three different center of gravity (CG) locations. "There was a reason for adding the CG locations along the perimeter," Wood said. "The closer you get to the center of the head, the more negatively it affects stability. Keeping it along the perimeter allowed us to get noticeable shot shape movement without having to make any sacrifices." The three positions (draw, neutral, fade) shift the CG location by 1/10" in either direction, which equates to approximately 10 yards — or 20 yards of correction between draw and fade settings — of shot shape. The G410 SFT (Straight Flight Technology) houses a similar high-density tungsten in a fixed position along the clubhead's perimeter and offers 50 percent more heel-side CG than its predecessor to straighten out ball flight. The lighter D1 swing weight — the Plus version is D3 — influences face rotation to help square up the face at impact. A creased crown design stiffens the properties and works in tandem with the company's Dragonfly Technology to remove discretionary weight from the top portion of the head. The creased crown lines also act as alignment aides and replace the visible Dragonfly design found on G400. Raised Turbulators on the front portion of the crown were made more aggressive to improve airflow, while a unique forging and heat-treatment process was added to the T9S+ face, yielding a thinner, hotter impact area for more flexing and ball speed. Additional surface face roughness reduces spin. To give the driver a more pleasing sound at impact, Ping utilized music theory to create the internal geometry of the head. The aluminum/thermoplastic trajectory tuning hosel was also expanded from five to eight settings, offering loft (plus-or-minus 1.5 degrees) and lie adjustments (including up to 3 degrees flatter than standard) to optimize ball flight. Ping's G410 retails for $540 and will be available mid-February in three lofts (9, 10.5 and 12 degrees) in the Plus model, and one loft (10.5 degrees) in SFT. A new counter-balanced Alta CB (45.75 inches) is one of the no-charge shaft options, along with the company's Tour 65 & 75 (45.25 inches; lower launch and spin), Project X EvenFlow Black 75 and Mitsubishi Tensei CK Orange 60. The design of Ping's G410 fairway woods centers around a C300 maraging-steel face insert that delivers more face deflection, and a low-back center of gravity position designed to launch the ball with relative ease. The weight location was moved slightly forward, when compared to G400, to provide more stability and forgiveness to the shallower face profile. In addition to the standard G410 fairway wood, the SFT version provides more heel-side weighting and a lighter D0 swing weight — designed to square up the face to create right-to-left shot bend — for the golfer who can’t seem to eliminate the big slice. The overall head size was bumped up slightly to drive the MOI higher in an effort to retain ball speed on off-center hits. And while launch has never been never an issue with Ping fairway woods, lofts were made 1.5 degrees higher in the SFT 3 (16 degrees), 5 (19 degrees) and 7 woods (22 degrees) to increase the chances of getting the ball airborne with regularity. Ping's G410 LST fairway wood. In recent years, Ping has released a low-spin LST version of the driver for players with faster swing speeds. However, this year’s G410 launch only includes an LST fairway wood, which replaces last year's Stretch model. The slightly smaller head and more forward CG position is designed to launch shots higher with less spin and a steeper angle of descent to hold greens. The smaller LST player pool only makes it necessary to offer one loft (14.5 degrees). The raised Turbulators on the crown give the head an aggressive look while serving a functional purpose as well, improving the club’s overall aerodynamic efficiency. Ping also worked on getting the CG location closer in line with force for consistent center face contact. The result is a club that's roughly 1 mile per hour faster and spins less (200 RPM's) due to a lower and more forward CG position than G400. Ping's standard G410 fairway comes in four lofts (14.5, 17.5, 20.5 and 23.5 degrees); the LST in one loft (14.5 degrees); and the SFT in two lofts (19 and 22 degrees). All three models retail for $310 and will be available in mid-February. For the first time in Ping's storied history, the G410 hybrid now includes an adjustable aluminum/thermoplastic hosel (plus-or-minus 1.5 degrees loft) with a lie angle range up to three degrees flat. The thinned out maraging-steel feel insert and high-density back weight found on the G410 fairway wood continue with the hybrid. To boost heel-toe MOI, the profile was also increased by 6.5 percent. 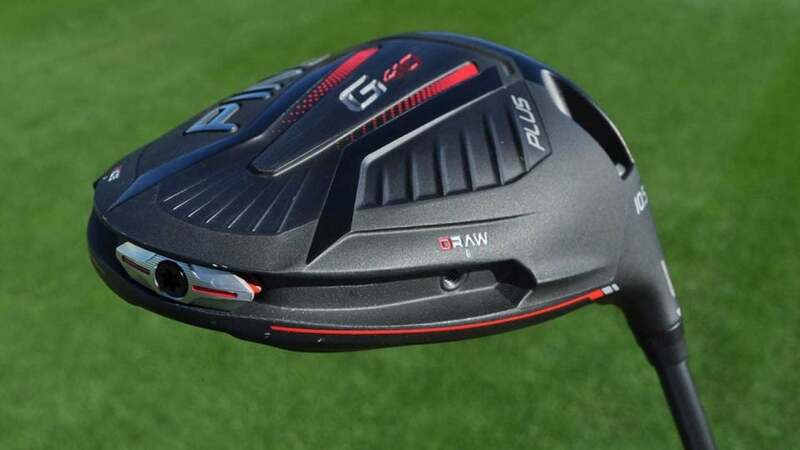 The G410 Crossover doesn’t fall into the hybrid or driving iron category. For Ping’s club designers, it’s essentially the best of both worlds, providing the forgiveness and speed of a hybrid with the control of an iron. The club has become a popular option on the PGA Tour for players looking to replace traditional long irons with a more versatile option. The maraging-steel face, typically found on Ping’s fairway woods, provides a more responsive surface for ball speed purposes. The 30-gram dual-density tungsten toe weight greatly increases the overall forgiveness of the head without altering the profile. To give the club a solid feel, internal ribs were positioned within the body to stiffen the entire structure. The G410 Crossover retails for $247.50 and comes in three lofts (17, 20 and 23 degrees). Ping’s G410 irons have the game-improvement label, but particular attention was paid to the shape of the 17-4 stainless steel head to ensure the look appeals to the mid-handicapper who wants something that doesn’t feel bulky. The overall blade length was shortened and offset decreased by 10 percent, compared to G400, to give the head a cleaner look. Perimeter weighting was also concentrated in the toe and hosel for an 8 percent higher MOI for forgiveness purposes. Next generation COR-Eye technology makes the face more flexible through a de-coupling process that detaches the weighting structure from the face, creating a larger flexing zone to launch the ball. A co-molded aluminum and elastomer badge in the cavity manages sound and feel at impact. The hyrdopearl chrome finish has become a staple of recent iron offerings and reduces friction by 40 percent while repelling water for more control. Ping's G410 irons retail for $945 (7-piece set) and come standard with either the company's AWT 2.0 (R, S, X) or counter-balanced Alta CB Red (SR, R, S) shafts.